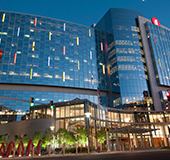 As reported by the Lean Construction Institute (LCI), projects utilizing Lean methods were considered among the best projects by owners. This is likely partially due to the fact that Lean projects are 3X more likely to complete ahead of schedule and 2X more likely to complete under budget according to Dodge Data & Analytics Research. Additional benefits that impact our clients, as well as all stakeholders involved, include predictable cost and confident ability to affect cost, flexibility to change as needs change, and stable, reliable long-term relationships—to name a few. As an organization, it provides us an opportunity to differentiate ourselves by forming great relationships while also positioning us at the forefront of the approaching industry disruption caused by technology. 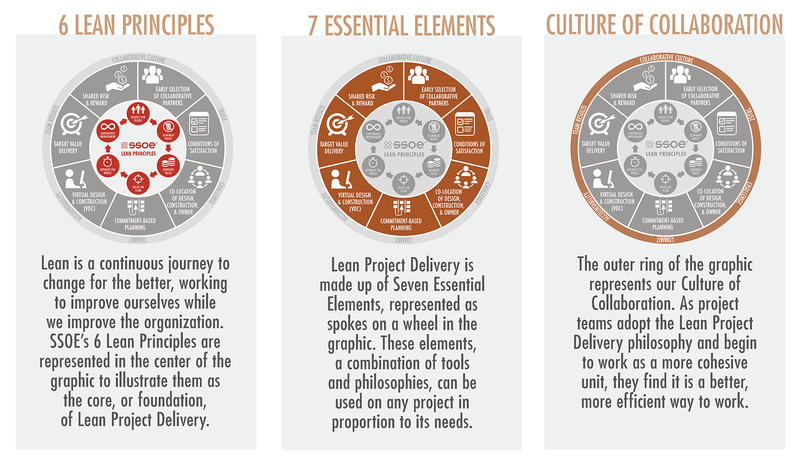 The adjacent section of the graphic displays the 7 Essential Elements of Lean Project Delivery, represented as cogs in a wheel that symbolize the tools and philosophies we’re using to employ Lean Project Delivery in proportion to the needs of the project. 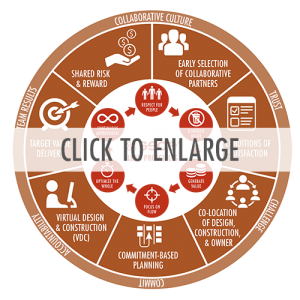 The outer section of the graphic embodies SSOE’s Culture of Collaboration and aligns perfectly with Lean as a continuous journey to change for the better, both individually and as an organization. When a project team adopts a more open, collaborative model, partnering early, incentivizing the goals, and coordinating those goals between the client leadership and the project team over a series of projects, the ultimate objective is to create a culture change. 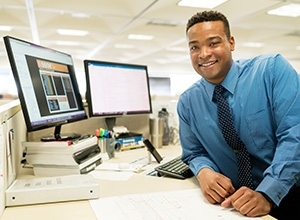 As project teams continue to adopt the Lean Project Delivery philosophy and work as a more cohesive unit, they find that this is a better, more efficient way to work. People transform ideas and materials into value, and are essential to Lean Project Delivery. 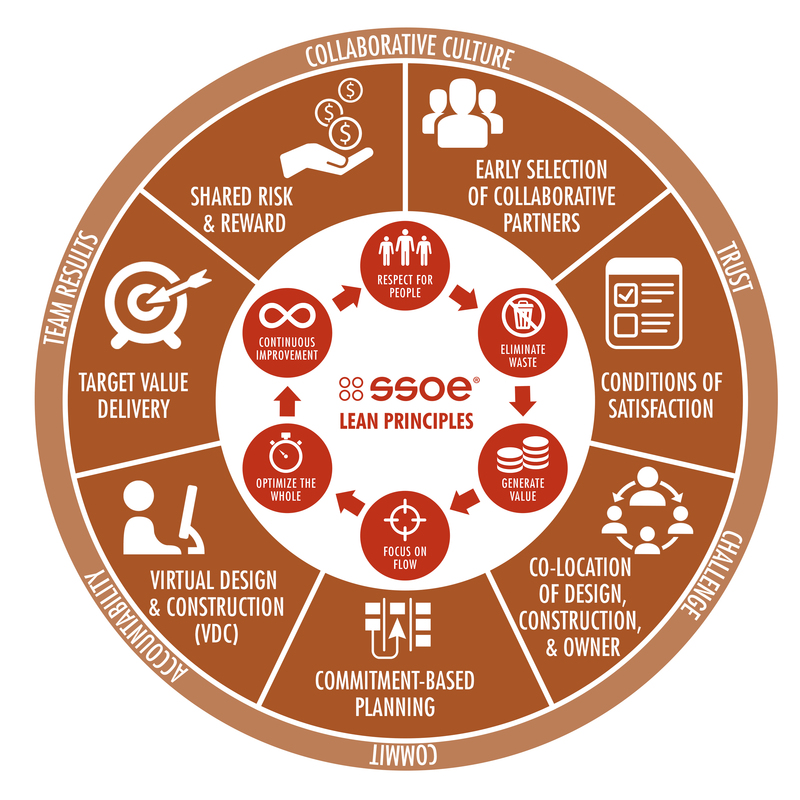 They collaborate within and across teams using foundational Lean principles— the goal being to increase the value SSOE delivers to our clients. People need to be treated with dignity and respect, which can be demonstrated with simple, yet powerful actions. Respect is the cornerstone of good teams and a respectful workplace environment brings benefits for everyone and helps teams collaborate. Defects: mistakes or incorrect info causing rework, scrap, or unhappy clients. Overproduction: producing more than needed or before it is needed. Waiting: wasted time waiting for the next step in a process. Talent: underutilizing people’s talents, skills, and knowledge. Transportation: unnecessary movements of products and materials. Inventory: excess products and materials not being processed. Motion: unnecessary movements by people. Overprocessing: more work or higher quality than is required by the client. To generate value means to make something out of nothing using human effort and ingenuity. Creating value is the essence of business, although everyone is capable of losing sight of what value really is. When we turn value into an abstract concept—a kind of business-speak—we lose that tangible sense of what it actually means to create value in business. The truth is, value is something very real and concrete. If you want to understand how to create value, think about being of service. All products of real value are embedded with specific ways of serving clients; through that service, value is created. That which serves creates value, begging the question: are you saving the client, contractor, or teammates time, trouble, or money? If not, stop doing it. If you’re not sure, ask. So often, certain things are done a certain way because “we have always done it this way”. With advances in technology and delivery methods, we need to ask ourselves if it adds value or if there is a better way to do it. 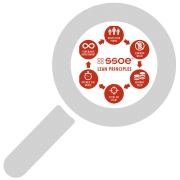 Lean is about continuously striving to provide perfect value to the client through a process that has zero waste. Resource efficiency and flow efficiency can be at odds with one another. The perfect state is when both resource and flow is highly efficient—no small feat. 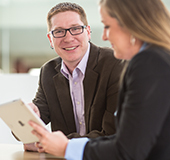 At SSOE, we encourage project teams to put their heads together to find ways to eliminate non-value-adding steps to shorten the process while focusing on flow efficiency. Optimizing flow may require some resources to slow down or be less efficient; however, as you improve flow, client satisfaction improves and drives more demand, ultimately increasing resource utilization. By incorporating commitment-based planning techniques such as Kanban and pull planning, we’re stressing prioritizing flow efficiency over resource efficiency and replacing systems that do the opposite. This principle ties in closely with focusing on flow. Optimize the whole, not just the parts. 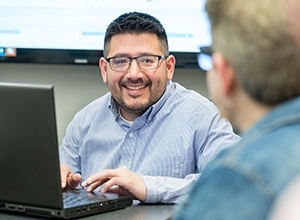 Many conversations about Lean focus on the use of Lean tools, which lead to tactical implementation of Lean approaches; however, beneath the tools is a shift in how people and teams view processes. It requires that teams continuously learn, identify value, and eliminate waste for the betterment of the overall project—shifting from “my work” to “our work”. The results of the entire team are more important than individual results. 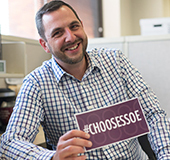 SSOE’s mission is to save clients time, trouble, and money. 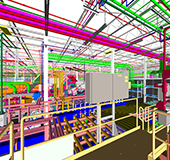 Our clients are looking to implement a complete capital project—not just a design or construction project. Therefore, in order to fulfill our mission, we strive to draw our boundaries of “whole” from the client’s perspective, even when our clients are looking to segment the work. Mindset of continuous improvement: leaders must create an environment where experimentation is encouraged within project constraints and small, manageable failure is acceptable if the goal is to continuously improve. An atmosphere of continuous improvement can drive innovation that will benefit the entire value stream. Lean focuses on continual learning. If you are striving toward a specific end where the learning is done, you will lose a key component of Lean. It’s about collaborating, sharing ideas, evolutionary change, and refining approaches with a goal of better satisfying clients, making work easier, reducing total cost, and learning faster together. It’s working to improve yourself while you improve the organization.